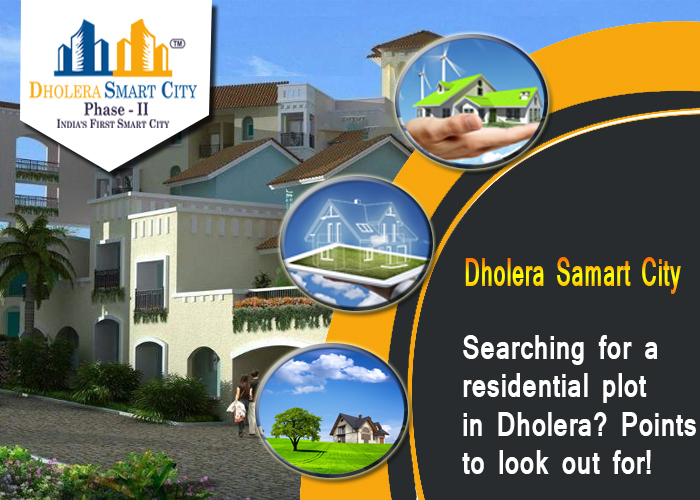 Searching for a Residential Plot in Dholera? Points to look out for! Residential Plots in Dholera have become the obvious choice for Indian and global investors. It is believed by experts that the city has unfathomable potential when it comes to appreciation in real estate prices; of course their theory is backed by sufficient factors that positively influence the smart city. Dholera, with extensive support from the Modi government has been declared as the first smart city of India. The development work has begun in the city with funding assistance from central government and land allotment from state government. Off late, construction of Dholera international airport has been approved in the city and the facility shall be functional by 2020. This airport is aimed at making Dholera a globally acclaimed city and enhancing its economic possibilities. About 30 developers have started construction activities in the outskirts of the city. Villages such as Federa, Pipli, Navgam, Akru and many more shall soon have massive residential townships that would be loaded with state of art amenities. As the development of the city progresses, land shall be bought by developers within Dholera to start residential projects. Investors may consider buying properties within the smart city and also on its outskirts. Experts believe that both shall fetch same ROI over long term. Roads and services shall soon be constructed in Dholera as the EPC contract for the same has been awarded to L&T in a board meeting held in January 2016. Investors should carefully go through the developers policy (mentioned on their website) to avoid being prey to any malpractices. To avoid disputes in future, investors should demand last 50 years land records from the developers. They are also advised to go through all the legal papers related to the plot. One should gauge the location of the plot, its safety and commuting options from the property. These factors shall have an important role to play while resale of plot and if they are favorable shall help one demand a premium on price.